Thread: Dev Blog: November 15 2018 - The Demo Is Live! Last edited by Citan; 11-16-2018 at 03:55 AM. Since you mentioned the mounts....I'm still waiting on the titles I paid for with my packages. Should I expect the mounts I paid for with my packages to be delivered to my accounts months/years after everyone else receives their mounts? I think you should allow joining guilds(and obviously restricting guild credits/storage) - I'm sure many people would be more likely to stick if they joined a guild and made friends. All very nice stuff coming for a game approaching the end of Beta pushing to release, but this game is not there yet. When are more zones coming both for higher level and the current levels already in game. This game's longeviety appears to be tied to players learning new skills after maxing current ones, PLEASE give more zones at all levels after Serbule, repeating the same mobs for combat skills gets very boring. The demo is a really great addition! I've always thought Gorgon is the kind of game that you really need to play in order to see how great it is, so a demo is perfect for people who want to see how the game play is like. Now I can suggest the demo to people which makes the game much easier to recommend to others. The list of what players can and can't do in the demo is handy too. I see there's been a lot of thought put behind what the players can and can't do to prevent botting/multiboxing abuse. Can demo players drop items that can be picked up by players who have purchased the game though? That could lead to potential abuse. Looking forward to all the other stuff mentioned too, Illimari and Rahu do feel like they could use some more love since there's a lot of weird empty space. 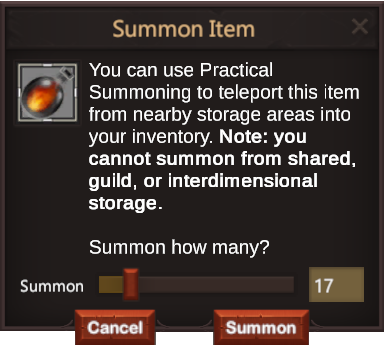 The summoning thing sounds kinda weird but also really handy. I'm sorry for making a huge stink about it, but I'm glad you're trying to take another look at the dangerous enchantment recipes. It's probably not something most people here are interested in, but I've been keeping an eye on Maple Story 2 (An MMO that recently released here in the west) and recently the community for the game has been making a HUGE commotion over the RNG upgrade system in the game and how it's horribly unfun. It really reminded me of some of the worry that some PG players and I have felt about dangerous upgrades. 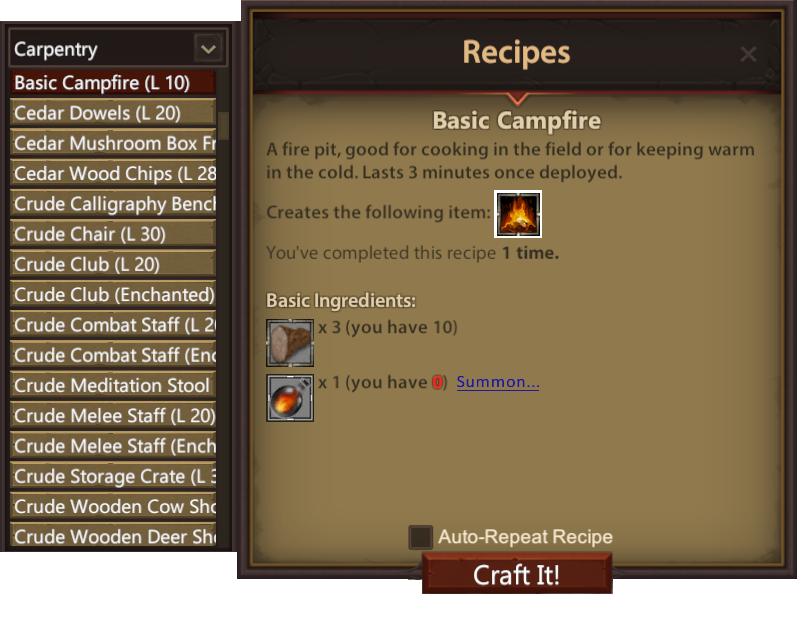 If you want to see how to make an RNG gear/enchantment system that will make half of your playerbase feel like quitting the game, check out Maple Story 2. Demo idea seems great ! I'm excited for the Rahu and Ilmari tweak, these two areas need TLC ! I always felt like Serbule, Eltibule and Kur were somewhat done in a good manner, many dungeons very well thought out layout there so much to do in those areas, in Kur we got Yeti cave, Kur tower and Wolf cave then you get to Ilmari/Rahu and........ i kind of get the feeling is this it, never felt complete. I do have to say Labyrinth is a great dungeon. I tried PG out in alpha but didn't make a purchase because I wanted to see how things would develop so this for me is the ideal opportunity to become reacquainted with the game and see how things have progressed. Downloaded the demo but can't login with my username and password? How is it supposed to work? It says run from Steam, but all Steam has is a Download button which downloaded an executable, but running that doesnt work when I try to login? Hey Awesome update! I love this game and I know that I have many others that have great interest in this game and want to play it. This game is an amazing game but one where you need to play it to really experience how awesome it is. You can easily watch some videos and be put off by the old graphics but once you play it you really see it's true value. I think the demo is outstanding and will be a way to show people that this game and community is worth it and that it's only going to get better! So keep up the good work! Can you please make fishing more realistic and less about running into the water and grabbing things with your hand? Every gathering profession is exactly the same. Gather with your hands. Can we get fishing to be more traditional with a rod, line and lure ala the cast your rod into the waters and play a fishing minigame to pull it out? Stardewvalley has a simplistic one or you can look at world of Warcraft where you just wait for a bite and right click your lure. p.s. I am desperately waiting for the new animation system... the game is fun mechanistically for the most part (minus gathering being all the same.. lol) but it really needs a prettying up... and I know the animation system will go miles in helping make them smoother, more fluid, and prettier even if the graphics to receive a major overhaul of any sorts. Itself alone will do wonders! Plus I want to see new spell effects. So many spells use the same effects.